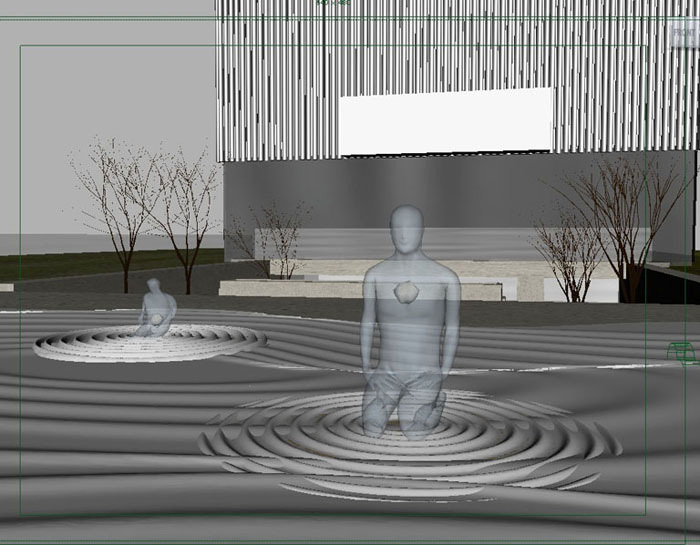 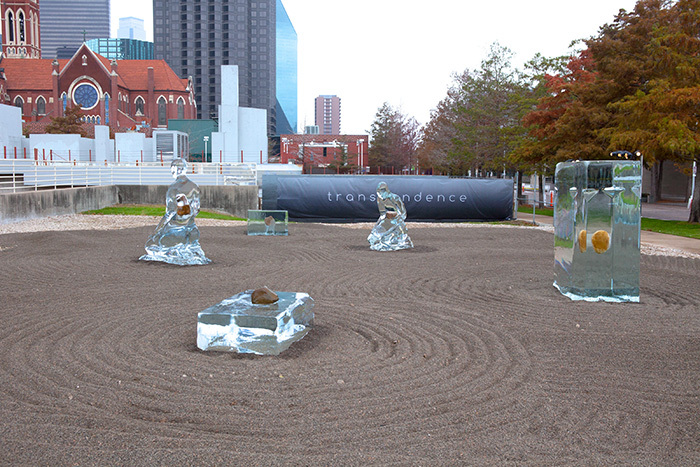 Using the traditional Karesansui Japanese rock garden as an inspirational template, Pennington transforms the traditionally earth-bound elements of the garden into a dialogue between the environment and humanity. 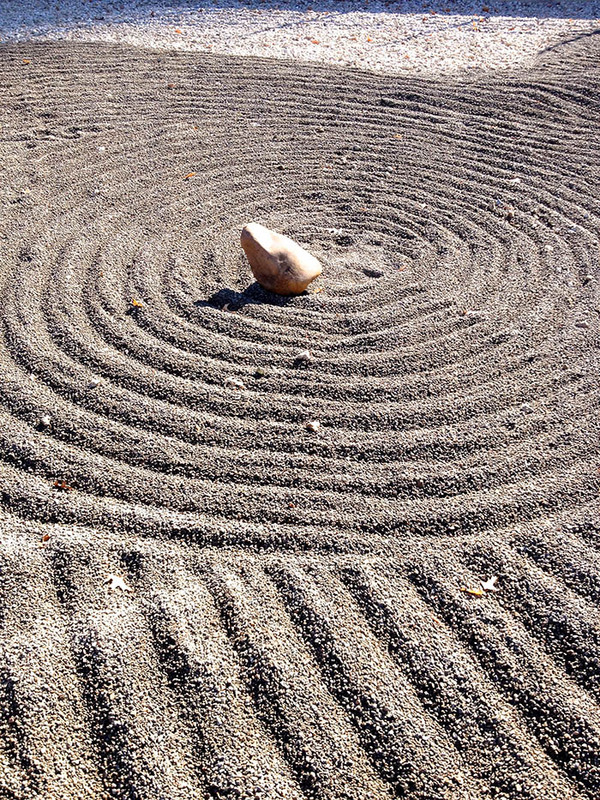 The Karesansui rock garden customarily activates space through the composition of various rocks and the interplay between their stability and the transience of the other surrounding elements. 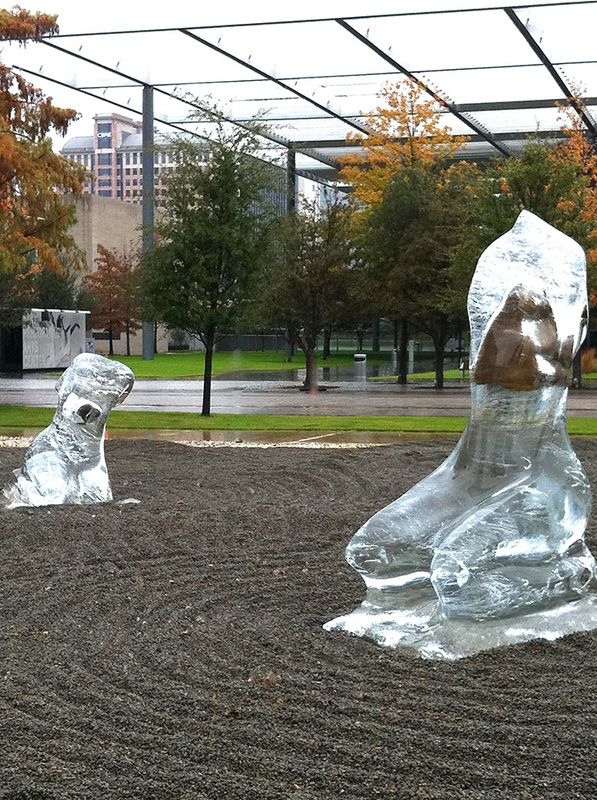 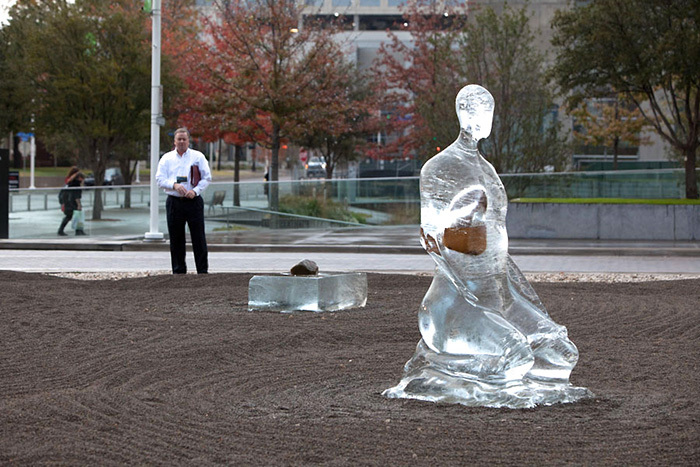 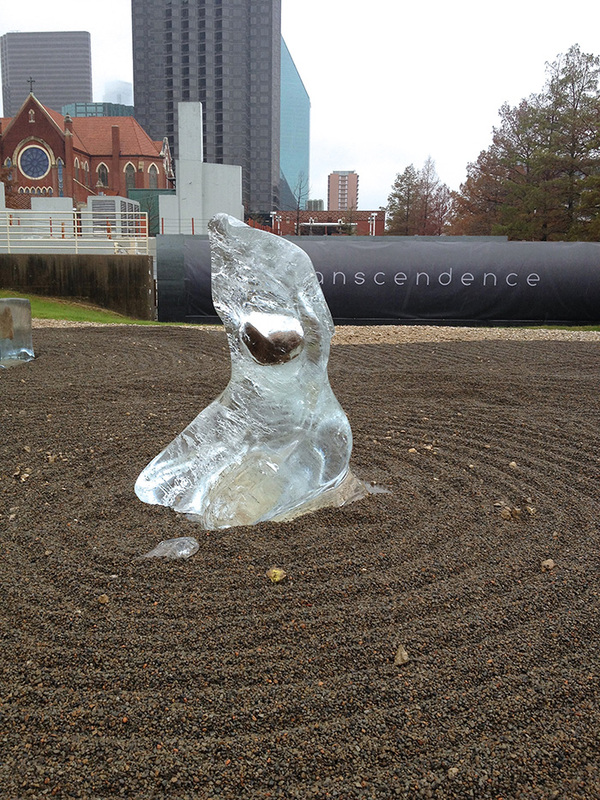 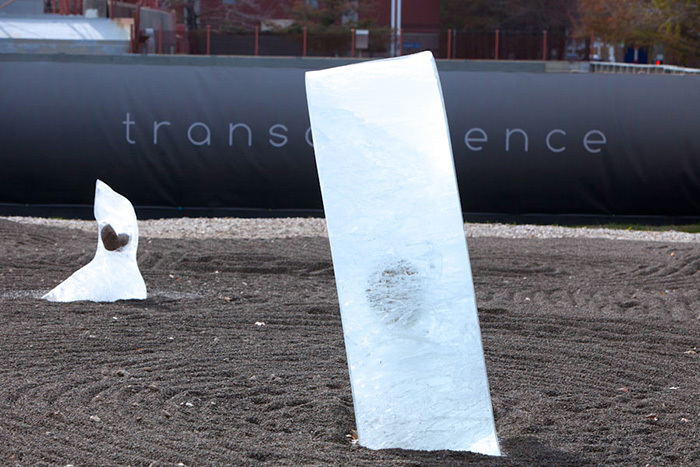 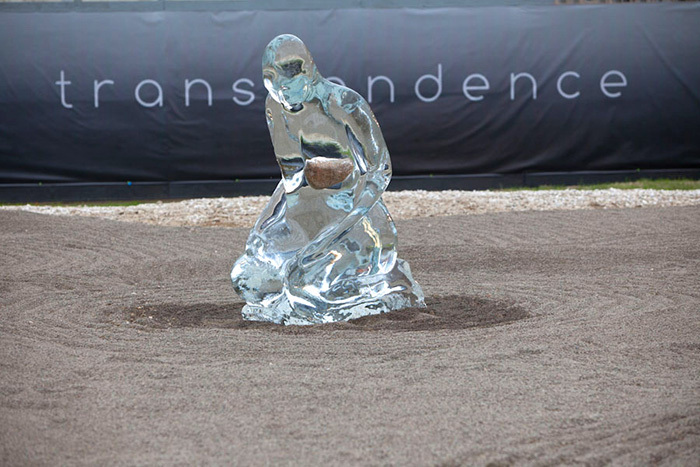 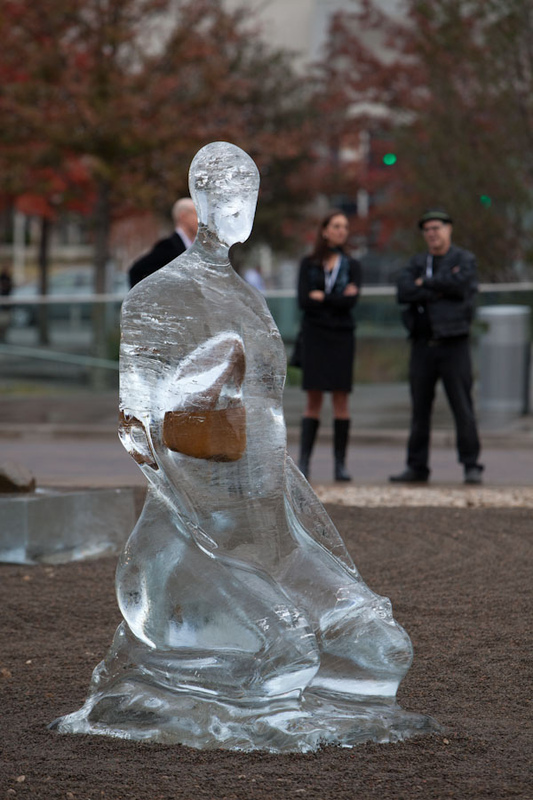 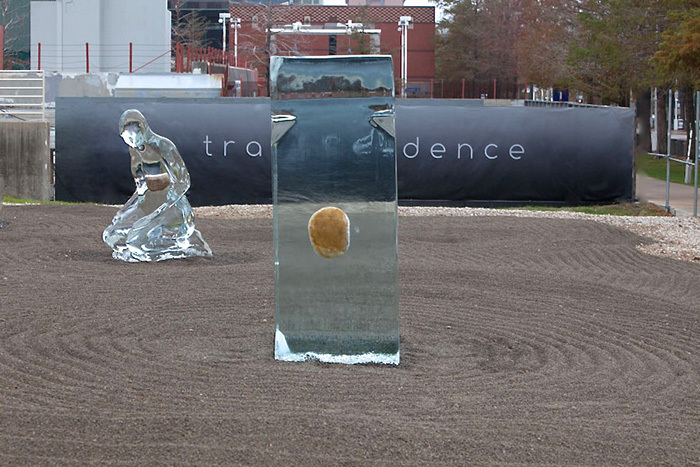 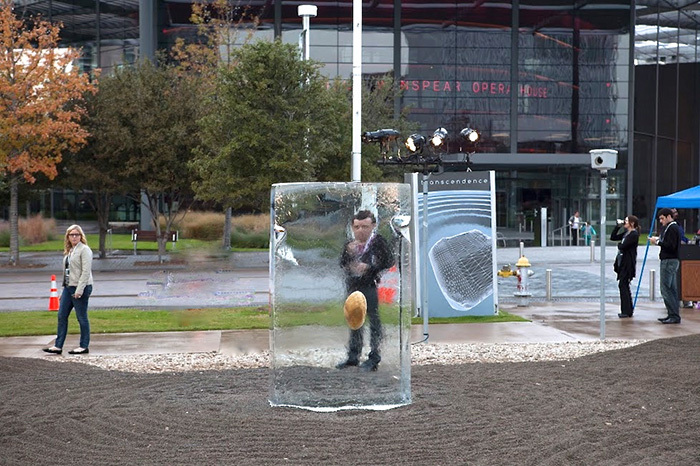 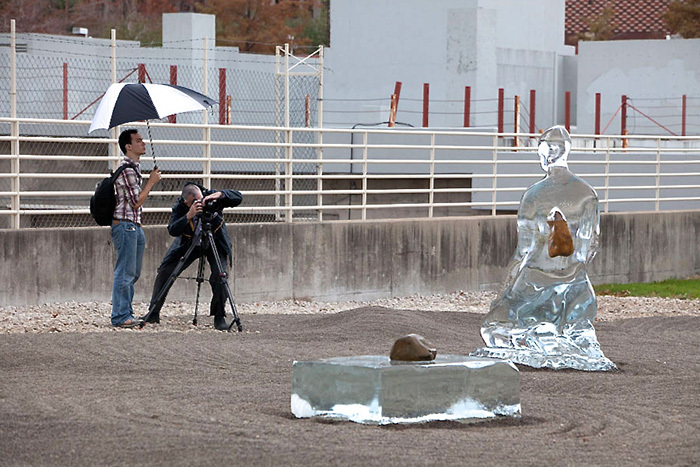 In Transcendence, Pennington encases the rocks within single blocks of ice that have been carved into larger-than-life human forms. 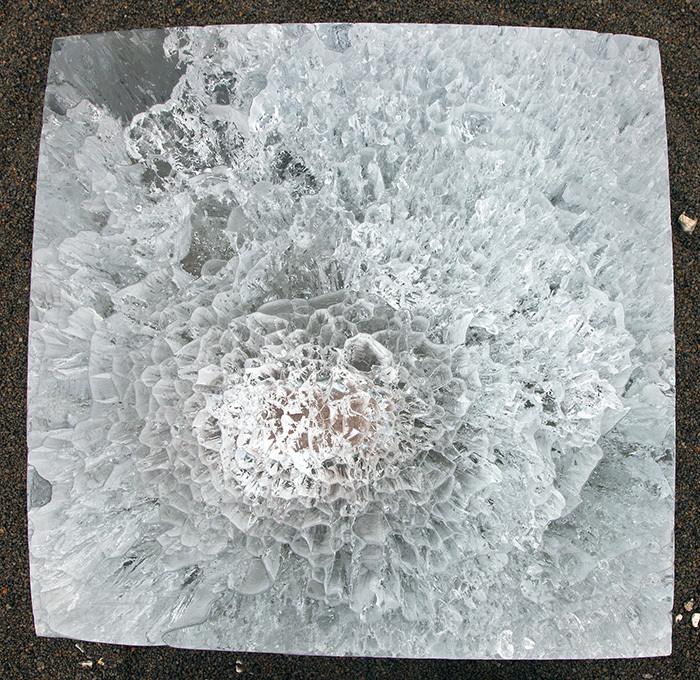 The result is the collision between pure materialities: the pure ice block and the stone encased within. 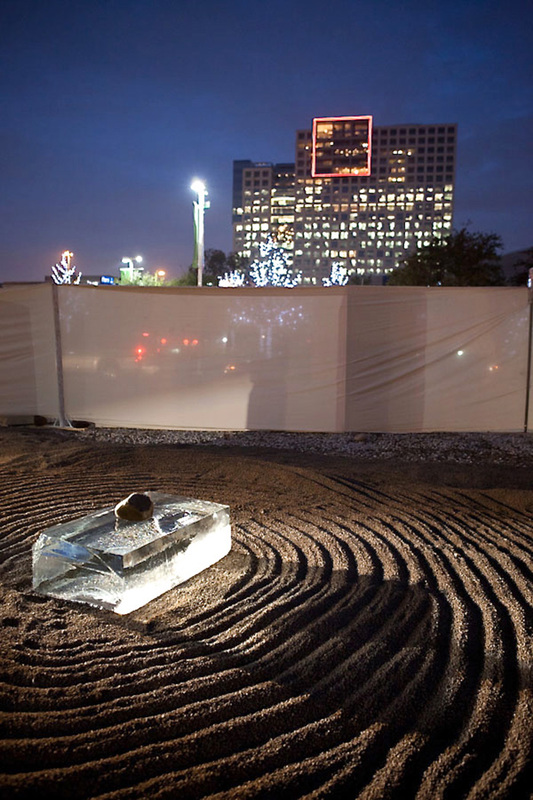 The result is the collision between pure materialities: the pure ice block and the stone encased within.